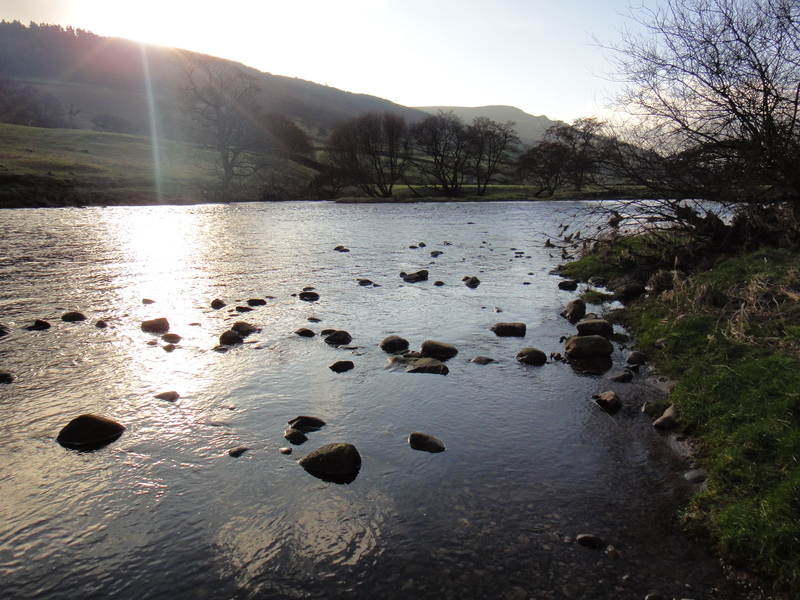 Burnsall could also be known on this blog as ‘the-place-we-decided-to visit-because-we-saw-it-on-Don’t Tell the Bride-then-the-Brit-remembered-he-used-to-take-school-cycling-trips-to-the-village-a-mile-away-and-he-thought-it-was-a-beautiful-place.’ Phew! 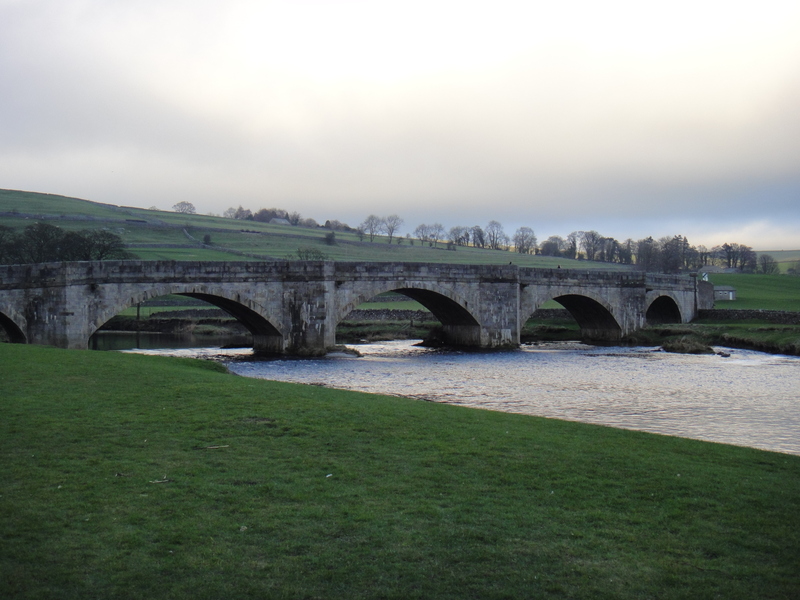 The bridge in Burnsall...you can see the clouds that rolled in later in the afternoon. This past weekend, we had beautiful spring weather here in England. On Saturday, we went for a run, but when Sunday rolled around, we nixed our normal running route in favor of a walk to somewhere new. 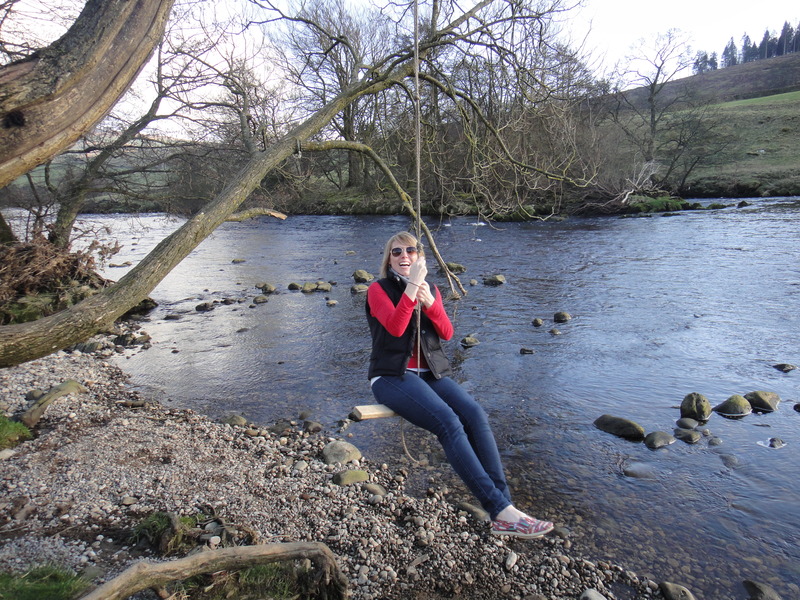 We still had to drive about an hour to Burnsall, but the scenery and the leg stretching (and rope swinging!) once there was well worth it. 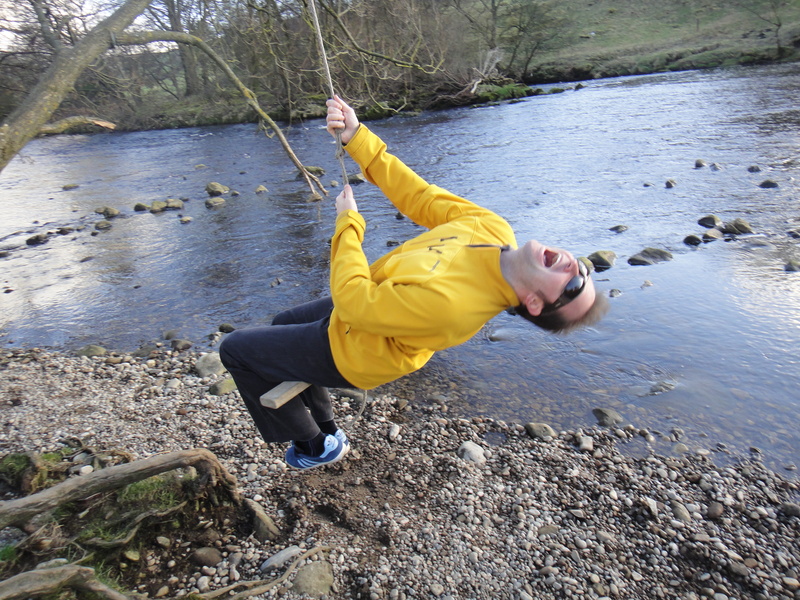 Having some fun on the swing we stumbled upon! 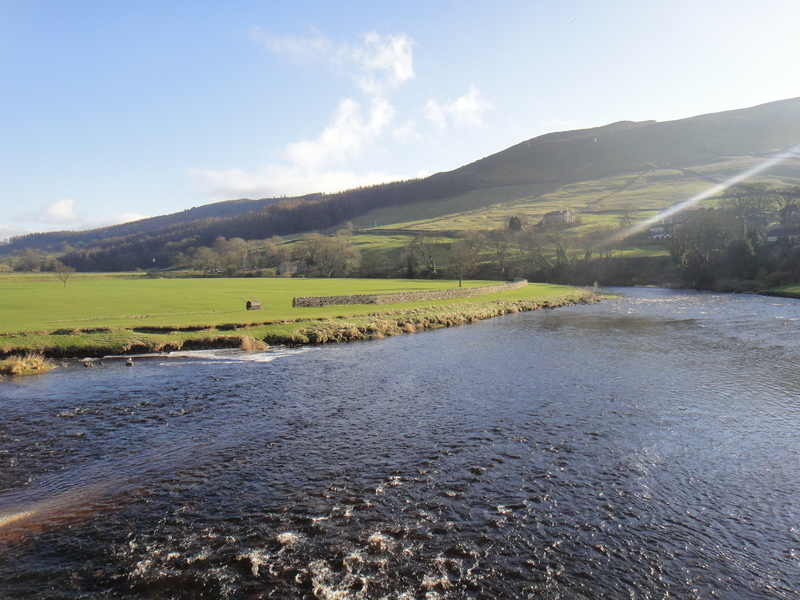 On the drive there, we passed Bolton Abbey and The Devonshire Arms, which we both decided we’ll have to return to when we have more time and/or when we want to have a day of luxury. 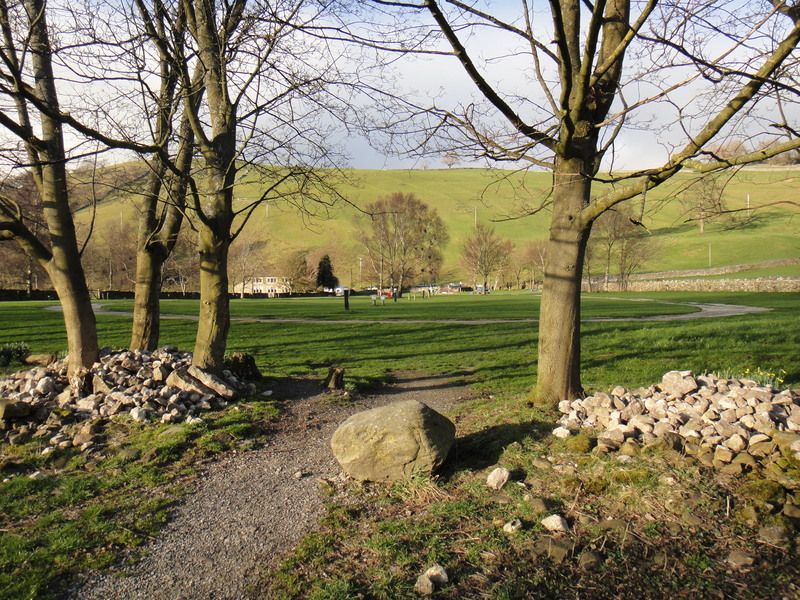 Once in Burnsall, an extremely small village (I believe Wikipedia says that the 2001 consensus listed the population as 112 and I doubt it has increased much since then), we headed along the river towards Appletreewick, which is the even smaller village where the Brit would camp on his school cycling trips. The round-trip walk was about 2 miles and we could have kept going on the trail, but the clouds started to roll in and it was getting chilly! We finished up with a glass of Diet Coke each at the The Red Lion & Manor House, which is where the groom hosted the wedding in that particular episode of DTTB, before heading home! 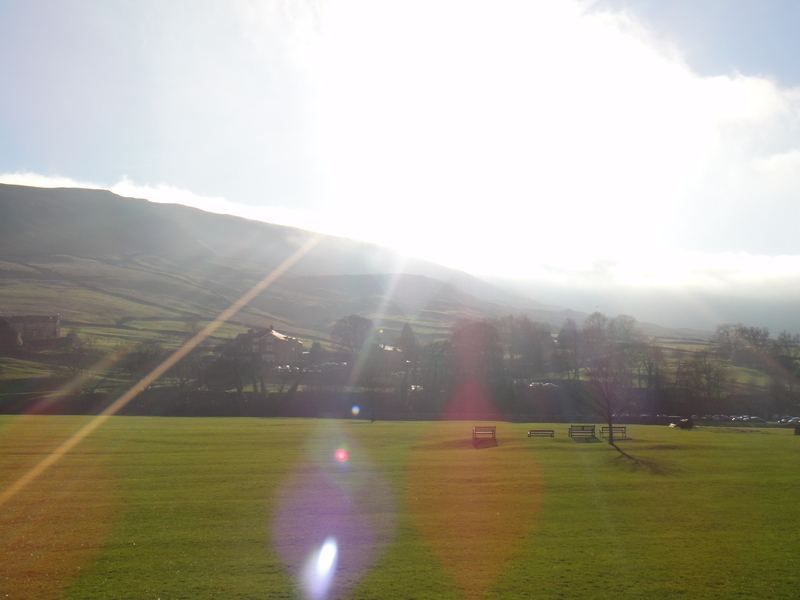 All in all, a really great day out!